Sponsored by Rocky Mountain Bank and Langlas & Associates. 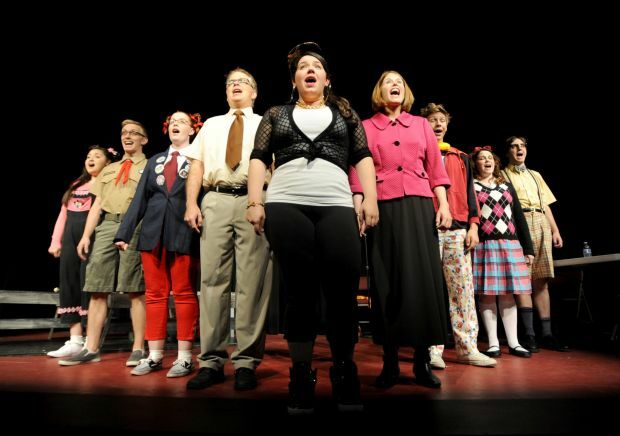 A hit musical about six kids (played by young adults) vying for the coveted spelling bee championship. Quirky and fun! 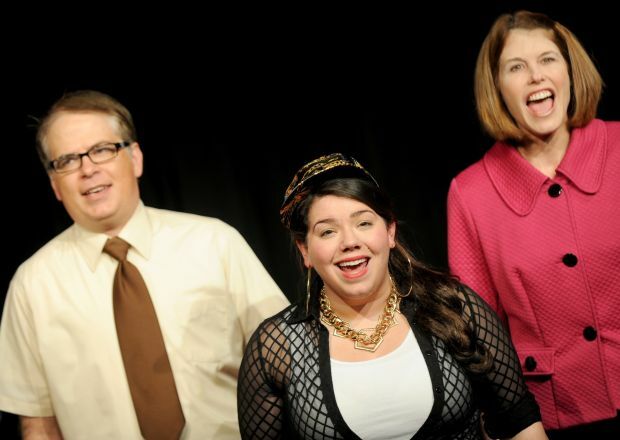 Wendy Carlin, director of “The 25th Annual Putnam County Spelling Bee,” couldn’t resist another round of the musical comedy. She played one of the three adult characters in the production when it was staged at Rocky Mountain College almost a decade ago. It was so much fun, Carlin is helping produce “Spelling Bee” at NOVA Center for the Performing Arts. The show opens Friday at 7:30 p.m. and runs through Oct. 25. “It’s fun, it’s quirky. My new favorite word is ‘adorkable,’” Carlin said. Carlin also brought along a few theater friends, including Kelly Martin, who plays the assistant principal who reads the words for the spellers, and Bobbi Hawk, who plays Rona the former spelling bee champion who now helps run the bee. “Spelling Bee” won a Tony Award for Best Book in 2005. The music and lyrics, composed by William Finn, celebrate the nerd. The characters are flawed, like most of us, but lovable in their own way. That’s the best part of the show for Carlin. “The message is be yourself. The charm of the show is young adults are playing kids and you can hear all of their inner thoughts,” Carlin said. The company also includes Amanda Schott as the helper completing community service at the bee, and Steven Hrubes, Tiffany Melia, Cole Whittington, Travis Kuehn, Chae Clearwood, and Brooke Moncada as The Spellers. “The writing is both hilarious and touching. If we do our jobs, audiences will laugh and cry, and maybe even spell a little,” Carlin said. Carolyn Peters is the musical director and Betsy Harris is the choreographer. 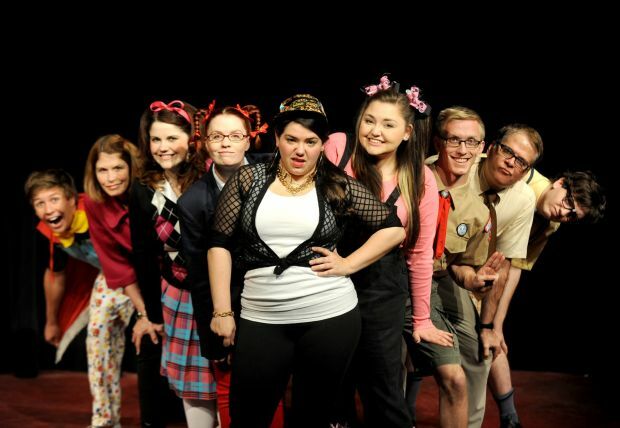 “The 25th Annul Putnam County Spelling Bee” opens Friday at 7:30 p.m. at NOVA Center for the Performing Arts and runs Saturday and Oct. 17, 18, 19, 23, 24, and 25. Curtain time for all evening performances is at 7:30 p.m. and at 2 p.m. for the Sunday matinee on Oct. 19. Call NOVA at 591-9535 for tickets. 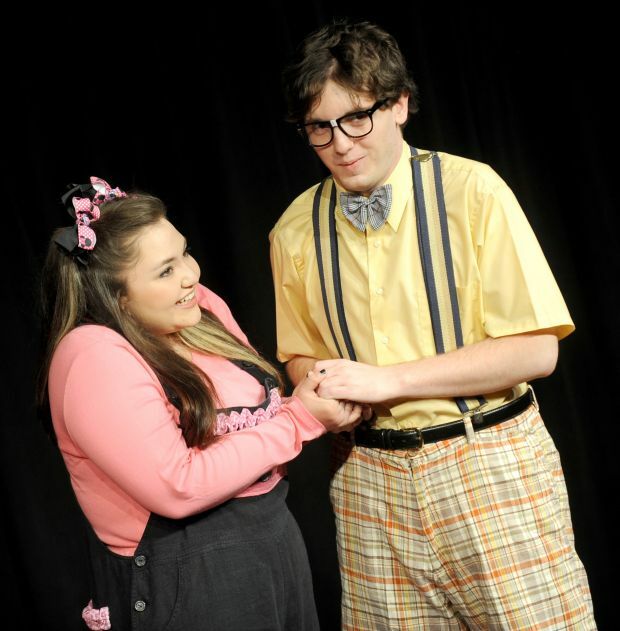 The 25th Annual Putnam County Spelling Bee is being performed at the NOVA Center for Performing Arts. It’s a Broadway production that’s seen success here in the U.S., along with tours spanning Canada and Australia. According to the official Spelling Bee website, the musical comedy is about six young people in the throes of puberty, overseen by grown-ups who barely managed to escape childhood themselves, learn that winning isn’t everything and that losing doesn’t necessarily make you a loser. There are three more performances of the musical comedy. October 23rd, 24th, and 25th are the dates. Performance time is 7:30 PM. Tickets are $20 for adults and $15 for kids, senior citizens, and active duty military.